Current silver prices are rebounding from the metal's recent fall. Silver prices rose nicely on Friday, June 3. The shares of iShares Silver Trust ETF (NYSE Arca: SLV), which can stand as a proxy for silver prices, climbed more than 2.5% to end at $15.61. Today (Monday) the spot price of silver was up $0.05 to $16.44. The main driver for higher current silver prices is the poor U.S. jobs report announced on June 3. Although the overall employment rate declined to 4.7%, the number of jobs added to payrolls across the country was only 38,000, far less than the 158,000 economists were predicting. A portion of the shortfall was attributable to a strike by Verizon Communications Inc. (NYSE: VZ) workers, but only a portion. 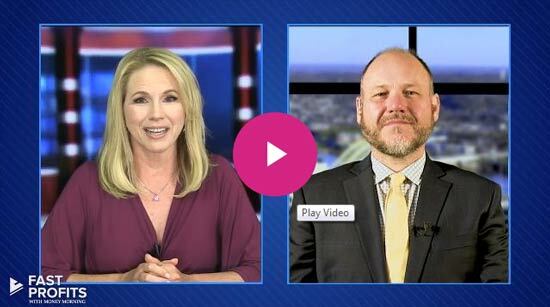 The news indicates that the economy is weaker than the Fed thought. As a result, while many economists expected the Fed to raise interest rates in June, it is now considered much less likely to happen in June, or even during the summer. Only 4% of economists polled by CME FedWatch now believe a rate hike will take place this month. Prior to the jobs report, more than 20% did. In addition, just over one-third of economists now believe a rate increase will occur in July. While the news sent stock prices broadly down (the Dow Jones Industrial Average lost more than 30 points on the day), it was excellent news for both silver and gold prices, which rose the same 2.5%. The reason why silver prices are up today is that interest rates and precious metals prices like silver and gold trade inversely. If interest rates climb (or are highly anticipated to do so), silver prices fall. If they drop or remain steady, the picture can be quite bullish for silver prices. But there's more. Several factors are bullish for silver in addition to the interest rate scenario: demand and the gold/silver ratio. Although investors think of silver primarily as an investment, it is also widely used in industry. One of the primary demand drivers, in fact, is the fast-growing solar power industry. This segment of green energy is projected to grow 12% this year and to keep rising at a robust pace, as many industries and businesses convert to solar power. Silver is used in the photovoltaic (PV) cells that power solar energy. Each solar panel requires up to 20g of pure silver. In total, the Silver Institute projects that 70 million silver ounces will be required for the demand from solar energy producers just this year alone. That demand is one of the reasons why silver prices are up today. But it's far from the only one. Silver's conductivity also makes it a prime commodity in other industrial uses, such as batteries, computers, electrical switches, medical devices, and even mirrors. This broad-based industrial demand keeps a floor under the price and is another reason why silver prices are up today. Demand for silver jewelry is also robust. The metals popular for jewelry go in cycles: some years gold is the most popular for bracelets, necklaces, and earrings. Some years it's copper or bronze. Recently, it has been silver. The Silver Institute reports that jewelry makers hiked their inventory of silver in 2015 and expect to increase it this year by more than 20%. Sales of silver jewelry increased a healthy 15% in 2015 and are on pace to do at least that well this year. Finally, investors themselves are fueling demand for silver. In 2015, sales of the U.S. Mint American Eagle silver coins rose 25% over 2014 levels. This year, the sales are on pace to break records. According to existing figures, the U.S. Mint could sell more than 60 million coins this year if the current pace continues. Last year, it sold 47 million – and that was a record. It isn't only happening in the United States, either. Richard Hayes, the head of the Perth Mint in Australia, says silver sales of coins and bars have been impressively strong so far in 2016. Not only is the demand picture on several fronts strong, but the supply picture is weak. That's another reason why silver prices are up today. Many observers expect the supply of silver worldwide to drop in 2016. CPM Group forecasts that silver mine production will decrease 2.4% to nearly 785 million ounces. If so, it would be the first yearly drop in production in five years. The Silver Institute recently upped its reporting of the global silver deficit. At one time, it reported that the difference between supply and demand was 21.3 million ounces (Moz) for 2015. It now believes that the actual 2015 deficit was 112.5 Moz. That deficit news is just one of the reasons why current silver prices have climbed. One of the chief buttresses of his 2016 price forecast is the gold/silver ratio. For Krauth, that ratio – the price of gold divided by the price of silver – is one of the major reasons why silver prices are up today. Right now, the gold/silver ratio is 79.6, at the high side of historical ratios. The gold/silver ratio hit 83 during the first three months of 2016, one of its highest levels ever. However, for the past century, the gold/silver ratio on average has hovered between 47 and 50. If it moves within that average range this year, which Krauth expects, silver prices per ounce would hit over $20. 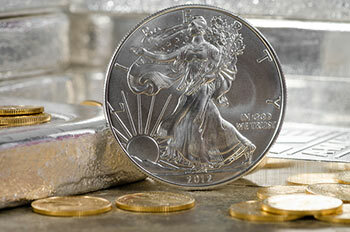 You can profit from rising silver prices by following our gold and silver investing guide. It gives you all the info you need to buy and invest in silver and gold. Get it here.